The modern business environment is demanding, and companies need to maximize their resources to stay one step ahead of the competition. Your commercial HVAC system plays a critical role in keeping your employees and customers safe, comfortable and healthy. That’s why the professionals at Bill Joplin’s Air Conditioning & Heating provide complete commercial installation and repair services for customers in Collin County and the surrounding area. Commercial HVAC equipment is under constant stress caused by process generated heat, varying occupancy rates and weather. Commercial heating and cooling contractors know that every HVAC installation begins in the design phase of the project. We engineer each commercial system to provide exceptional comfort with the lowest possible utility costs. On the jobsite, our installation experts understand how to address the numerous challenges associated with a commercial heating and cooling installation project. We’ll inspect your air distribution components and ductwork to locate and repair problems caused by possible inaccurate designs or previous substandard workmanship. When we complete the installation, our techs will performance-test the equipment to ensure that the right amount of conditioned air reaches every part of the building. When you have an issue with your commercial HVAC system, it can be costly and disruptive. Many residential contractors lack the expertise required to diagnose and repair complex commercial equipment. When you call Bill Joplin’s Air Conditioning & Heating for service, our NATE-certified commercial technicians will quickly troubleshoot your unit and make the repairs needed to restore your system to full functionality. Our techs have a thorough understanding of airside fundamentals, the refrigeration cycle and 3-phase electrical systems. We can repair any brand of commercial equipment and specialize in furnaces, boilers, rooftop package units, make-up air units, economizers and commercial controls. If you have an emergency, we also offer 24/7 service. Bill Joplin’s Air Conditioning & Heating has served commercial customers in McKinney, Frisco, Allen, Plano, Prosper, Celina, Lucas, Fairview, Princeton, TX and the surrounding area since 1978. We’re the largest Carrier dealer in North Texas, but repair and service all brands. We’re just one of three dealers inducted into the Carrier Hall of Fame, which is an award for lifetime achievements as a Carrier Dealer. Our 11,000 square foot facility includes a sheet metal shop that houses our automated production plasma cutting and duct fabrication machines. Advanced automation has brought us to the forefront of technology by allowing us to fabricate ductwork to meet the unique specifications of each new project. To arrange an appointment for commercial service or to obtain a complete system evaluation, call one of our friendly representatives today at (888) 4414-4655. 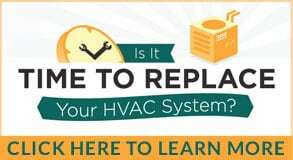 To schedule an appointment for Commercial HVAC Installation, fill in the information below. Someone from Joplin’s will contact you shortly.